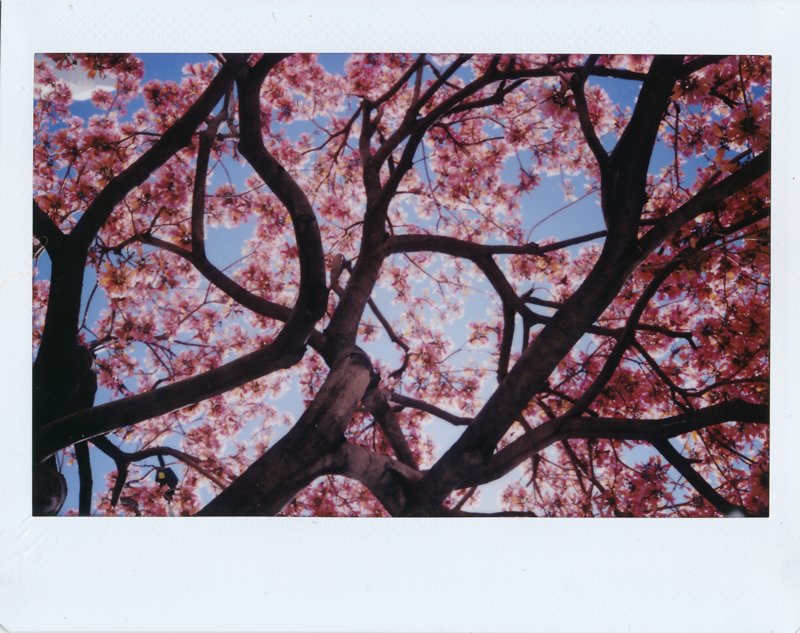 Shot with Expired (2/2017) Instax Wide. I didn’t even shoot an entire pack of film in this camera before I started getting expired film. These pink trees line the street outside my work in Southern California and put on a crazy show every spring.